Fatou Bensouda, Chief Prosecutor of the International Criminal Court (ICC), recently issued a ‘state of the union’ address from the ICC on the “peace versus justice” debate. The intervention, penned as a New York Times op-ed entitled ‘International Justice and Diplomacy’ introduced Bensouda’s voice into a timely debate that isn’t going away any time soon. To readers of JiC, the “peace versus justice” debate is old-hat. On the one hand, there are those who believe that peace (in the form of stability and order) must precede and take priority over the pursuit of justice and accountability; otherwise, justice risks undermining efforts to resolve conflict peacefully. 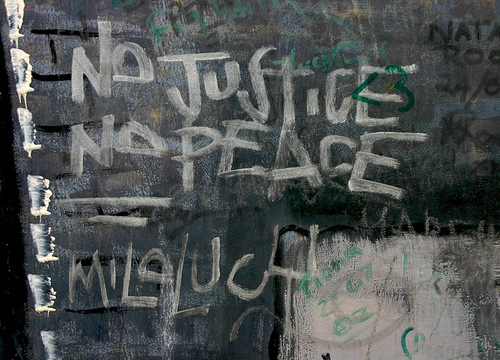 On the other, there are those who argue that peace and justice must be pursued simultaneously; there is “no peace without justice” they argue. Of course, this is an over-simplified version of a debate that is multi-layered and more sophisticated than this harsh dichotomy suggests. Nevertheless, it is important to note that it is a debate that is indelibly linked to the ICC’s work. The reason is simple: as a permanent institution, the ICC intervenes in ongoing and active conflicts where attempts to establish and maintain peace may be vulnerable to the demands of international criminal justice. So what did Bensouda have to say about the ‘peace versus justice’ debate? This is a long-standing position in the Office of the Prosecutor. In a 2007 policy paper, Bensouda’s Predecessor, Luis Moreno-Ocampo similarly argued that the interests of international justice and the interests of international peace were separate. The former, he maintained, was the prerogative of the ICC, the latter of “other institutions”, including the UN Security Council. Therein lies the rub. If peace and justice are “two sides of the same coin” and peace can only be achieved through the pursuit of justice, then it cannot be argued that the interests of peace and the interests of justice are separable. You can’t have it both ways. This latter position is closer to what many ICC proponents believe; the pursuits of peace and justice should be combined rather than separated. Indeed, this helps explain why human rights advocates celebrate rather than critique the increasingly close relationship between the ICC and the penultimate guardian of international peace, the UN Security Council – however problematic that may be. …if anything, the “shadow of the Court” has helped to isolate individuals wanted by the I.C.C., or to kick-start negotiations. That the ICC contributed positively to spurring peace negotiations between the LRA and the Government of Uganda is widely held and, in my view, rightly held, view. But celebrating this fact seems to expose a contradiction in the arguments made by some ICC advocates about the relationship between peace and justice. 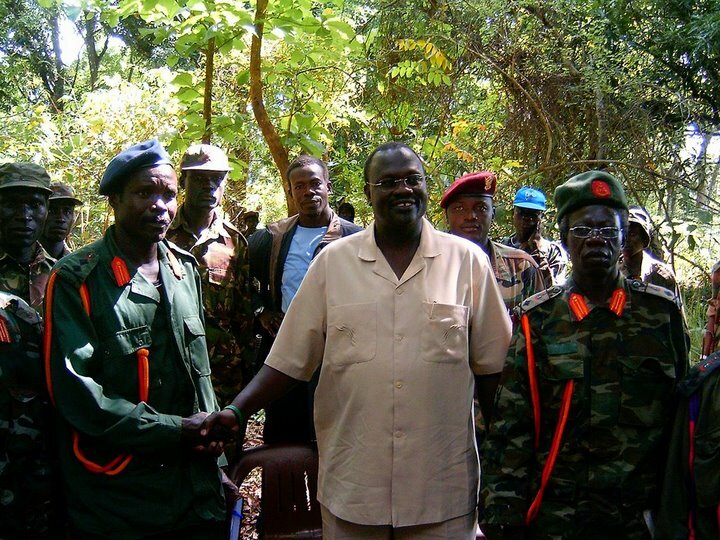 For proponents of the ICC, indictments should disqualify people like Kony from participating in negotiations. The ICC shouldn’t contribute to indictees being legitimized and becoming the potential benefactors of peace negotiations. Rather, these individuals are supposed to be isolated, marginalized and eventually brought before judges at The Hague. However, we can also take Bensouda’s statement as both an acknowledgement that the effects of international criminal justice on peace negotiations cannot be ignored. But this leaves us with numerous questions. Critically, what comes next? What if negotiations with ICC indictees are successful? The Court has been able to claim its positive influence on the Juba Peace Process and avoid these tougher questions in large part because the Juba negotiations failed to achieve a comprehensive peace agreement and Joseph Kony is still on the run. The “what comes next” bit has never materialized. If the ICC can have a potentially positive impact on peace processes (and I certainly think it can), then there’s an even more important question to ask: what can be done so that the potential effects of ICC interventions on peace processes are positive rather than negative? Lastly, Bensouda’s intervention into the ‘peace versus justice’ debate affirms the increasingly obvious reality, as elaborated by Leslie Vinjamuri, that justifications of the ICC’s work have shifted away from moralizing arguments towards consequentialist arguments. It is no longer sufficient for supporters to argue that the ICC is a morally ‘good’ project that provides ‘justice’ to ‘people’. There is an expectation that the ICC delivers results. A decade into its existence, people are as critical of the ICC as ever. But the arguments aren’t existential. It’s no longer about whether the Court can survive or not; it isn’t about whether the Court should exist or not. Those who reflect critically on the ICC increasingly judge the Court by its effects and by its impact on the situations in which it intervenes, including ongoing and active conflicts. That, in its own right, is a welcome development. This entry was posted in Conflict Resolution, Peace Negotiations, Peace Processes and tagged "peace versus justice", Fatou Bensouda. Bookmark the permalink. Inokomazi, I think you perhaps have entirely missed the point. The ICC is set up to prosecute individuals in a court of law for genocide, war crimes and crimes against humanity – you really think that’s the problem here? You really think it’s the court that’s ‘trampling the beliefs and self-perceived rights of many people of various cultures’? I would suggest that perhaps, just maybe, genocide, war crimes and crimes against humanity pose a higher threat to the beliefs and self percieved rights of many people of various cultures. You perhaps also don’t realise that, in the Court’s case at least, consent from the country involved (through joining the Rome Statute) is required for it to have jurisdiction (unless the situation is referred by the Security Council). Moreover, support for the Court is high among the people affected by violence, whether it be a national population, or victims in particular. You often only hear the argument you’re spouting from the suspects facing prosecution, or their supporters (Perhaps you’ll be able to recognise them’noy, you know, by the way they trample the beliefs and self-perceived rights of many people of various cultures).